The 2 Cents Movement with staff of the British High Commission and the European Union. The conversation on gender-based violence continued with the second instalment of #LetsTalkTT which was hosted jointly by the British High Commission and European Union (EU) Delegation to TT. The Delegation brought together various gender stakeholders and young people at the British High Commissioner Tim Stew’s residence. 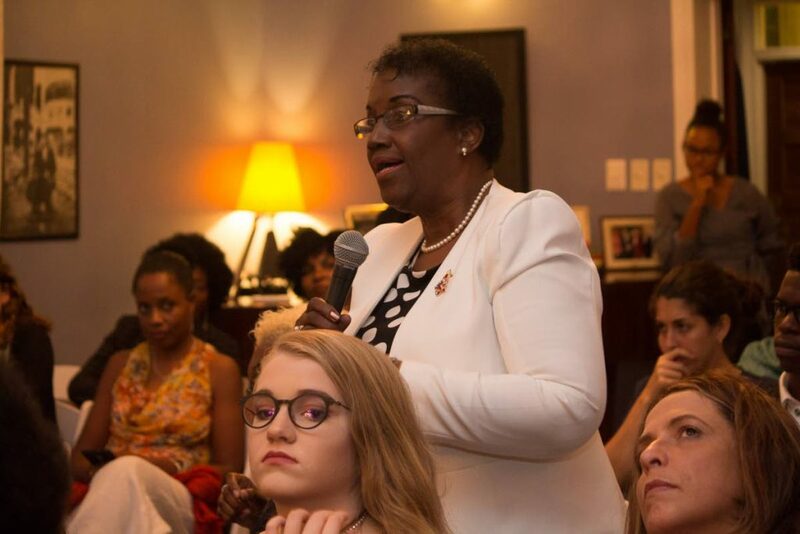 It was one of the initiatives held recently to continue the conversation on gender-based violence during the 16 Days of Activism commemorated internationally from November 25 to December 10. What is normal? 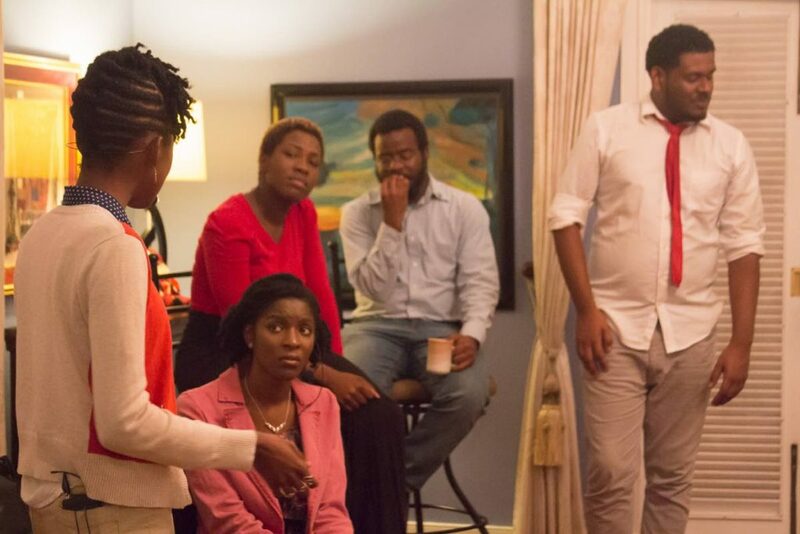 - Members of 2 Cents Movement during the performance of Common Grounds. The 2 Cents Movement delivered a lively and emotional and performance titled Common Grounds at the event as it led off with: Normal? That not normal! But, this is normal! The #LetsTalkTT initiative, emphasises the commission and EU’s commitment to engaging different stakeholders, including youth, on the issue of violence against women. Reema Carmona, wife of President Anthony Carmona, addresses the audience. 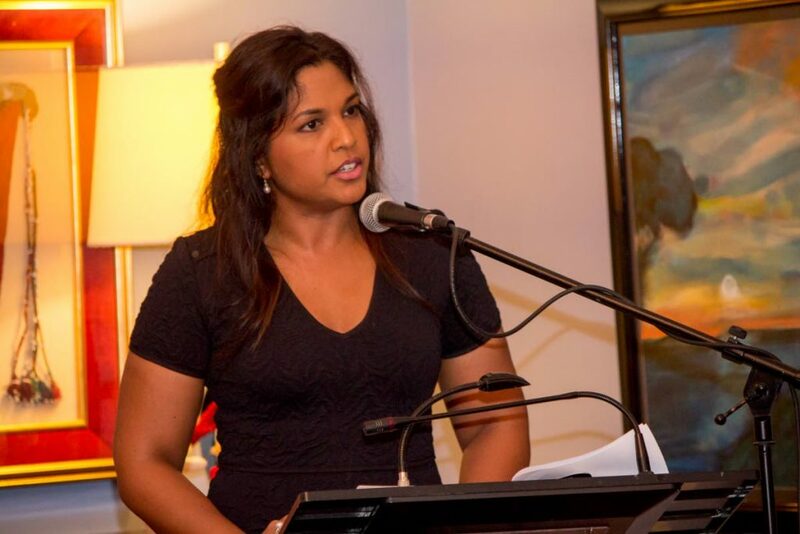 Reema Carmona, wife of President Anthony Carmona, addressed the gathering and called for “no one to be left behind,” said a media release. She acknowledged gender-based violence, child marriage and female genital mutilation as a human rights violation, which undermines the health and well-being of women and girls, the release said. 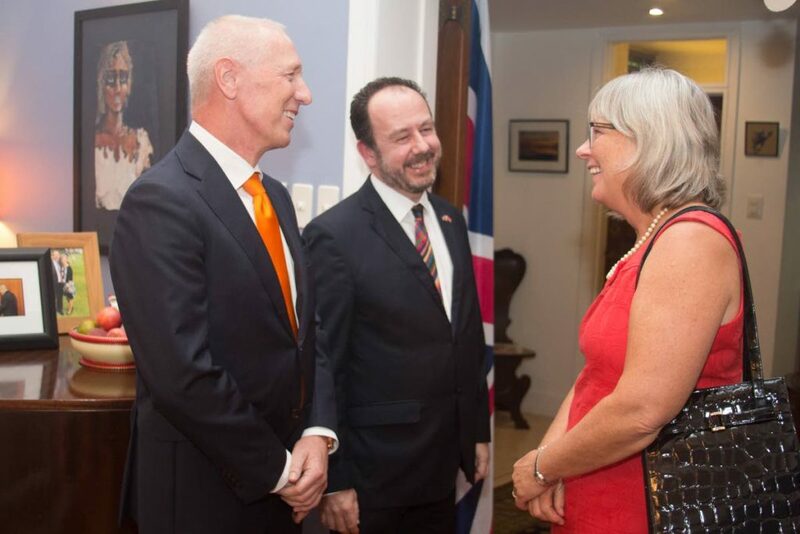 EU Ambassador Aad Biesebroek, left, and British High Commissioner, Tim Stew greet Canadian High Commissioner Carla Hogan Rufelds. Ambassador Aad Biesebroek, of the EU Delegation highlighted the importance of working collectively to address the issues, noting the fluctuating figures regarding gender-based violence. He called on the media to assist by giving these issues greater priority in coverage. The thought-provoking performance by the 2 Cents Movement, gave the audience much to ponder as the title Common Ground addressed not just society’s view of what is normal and acceptable in the interplay between men and women, but also issues such as love versus dependency, care versus control and the characteristics of a “real” man. 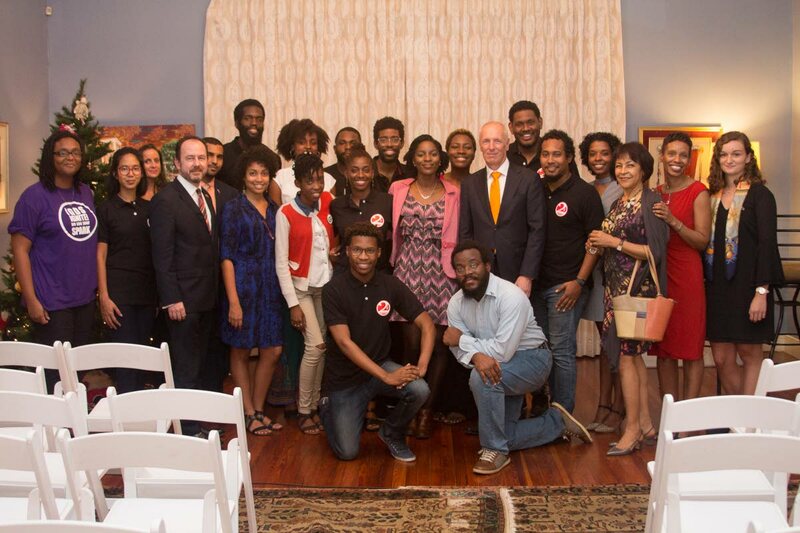 Performers from the 2 Cents Movement chat with British High Commissioner Tim Stew. The #LetsTalkTT series targets a wide cross-section of society, encouraging stakeholders to propose solutions and prevent the perpetuation of violence and abuse by the next generation. Acknowledging the importance of collaboration, #LetsTalkTT welcomes engagement with new partners, the release said. Child advocate and current deputy chairman of the Children’s Authority, Hazel Thompson-Ahye makes a comment to the gathering. 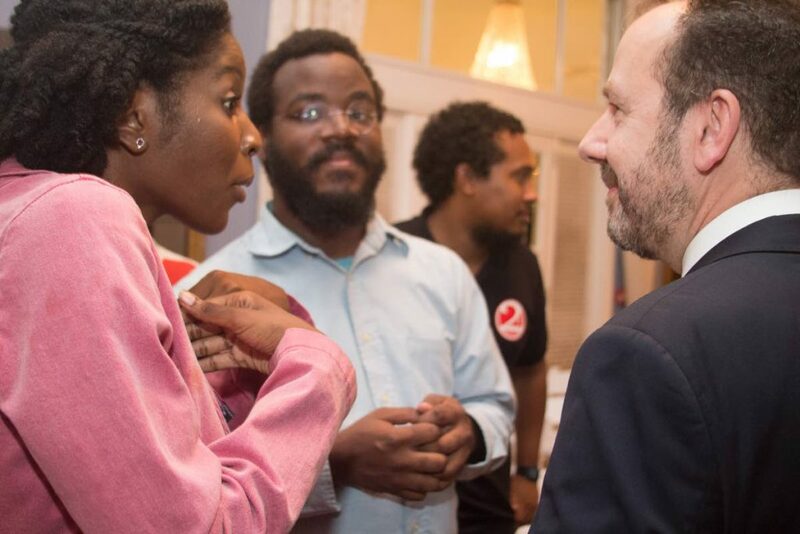 A video of the entire #LetsTalkTT event is available for viewing and discussion on the Facebook pages of the British High Commission and the European Union. The video can also be viewed on the EU Delegation’s website. Reply to "Let’s talk about gender-based violence"